Like many other Web sites, Thaifoodmaster.com makes use of log files. The information inside the log files includes internet protocol ( IP ) addresses, type of browser, Internet Service Provider ( ISP ), date/time stamp, referring/exit pages, and number of clicks to analyze trends, administer the site, track user’s movement around the site, and gather demographic information. IP addresses, and other such information are not linked to any information that is personally identifiable.
.:: Google’s use of the DART cookie enables it to serve ads to users based on their visit to Thaifoodmaster.com and other sites on the Internet. 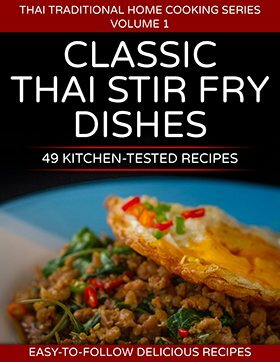 Thaifoodmaster.com has no access to or control over these cookies that are used by third-party advertisers. You have purchased or registered or otherwise have an existing relationship with us. We respect your time and attention by controlling the content and frequency of our mailings. Our site’s registration form requires users to give us contact information, like their name and email address, and unique identifiers. We use customer contact information from the registration form to send the user information about our company. The customer’s contact information is also used to contact the visitor when necessary if they have subscribed to the mail list. Users may opt-out of receiving future mailings by choosing to unsubscribe. Unique identifiers are collected to verify the user’s identity and for use in our record system. How Can You Stop Receiving Email From Thaifoodmaster? Each email sent contains an easy and automated way for you to stop receiving email messages from Thaifoodmaster.com in the future. If you would like to do this—to “opt-out” —simply follow the links at the bottom of every email message.